Montreal Impact and Columbus Crew face each other at Stade Saputo in what is expected to be one of the most interesting games of Saturday’s program. 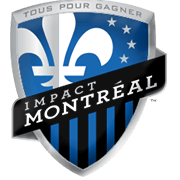 Montreal Impact are a real force to be reckoned with at home, but they have yet to play a home game in the 2019 MLS season. The Canadian club aim to prove their worth in front of packed Stade Saputo and we predict that they are going to leave their hearts on the field in Saturday’s football match. 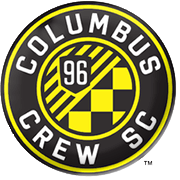 Columbus Crew, on the other hand, made a fine start to the season, with the team sitting in top position in the standings ahead of the trip to Canada. However, seeing that Montreal are tough to beat at home, we believe that the two teams are going to share the spoils this weekend. In their last meeting in Canada, though, Montreal outclassed Columbus 3-0. Columbus Crew full back Jukka Raitala was born in Kerava, Finland on September 15, 1988. Raitala started his senior career at Klubi-04 and after making 22 league appearances for the club, he moved to HJK in 2007. After ending his spell with Helsinki, the Finland international signed a loan deal with TSG 1899 Hoffenheim. During his spell with die Kraichgauer he appeared for the reserve team as well and in 2011 he was loaned again, this time out to Osasuna. 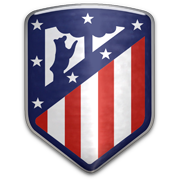 On August 28, 2011 he made his Primera Division debut with los Rojillos playing as a left back against Atletico Madrid. Raitala played for the likes of Heerenveen, FC Vestsjaelland, Aalborg and Sogndal in the past as well he signed for Columbus Crew for the 2017 season. The Columbus defender made his Finland debut on February 4, 2009 in a friendly against Japan. It has to be noted that he represented Finland at the UEFA European Under-21 Football Championship in 2009.